Sponsorship opportunities are available for the 2010 AFS & Kerberos Best Practices Workshop. Why should you sponsor the workshop? Its an opportunity to communicate directly with system administrators and managers who are directly responsible for distributed data storage and authentication systems within universities, government agencies, and commercial organizations. The attendance at the 2009 Workshop was 88 and in 2008 it was 120. 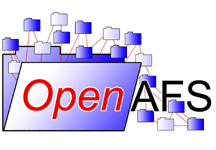 All positive cash flow is used to support the administrative infrastructure and development of OpenAFS. Registration for two staff members to attend the Workshop sessions being held Wednesday to Friday. Your logo on the workshop web site with a hyperlink to a custom page on your web site which can be used to describe products, services and special offers of interest to attendees. Your logo will appear on the daily agenda poster boards. One quarter page print advertisement will appear in the workshop handout. Your sponsorship will be verbally acknowledged during the workshop. You may provide printed literature and/or DVDs to be distributed to conference attendees as part of the registration packet. How can you maximize the opportunity? Focus your marketing on products and services that will appeal to the attendees. Provide attendees a limited time discount if they purchase your services within some number of days or weeks after the workshop ends. Demonstrate your domain expertise by presenting a talk at the workshop. Talks must not be a direct sales pitches but must have general value. When do you need to let us know by? Sponsorships will be accepted up until the first day of the workshop. The deadline for including your logo on t-shirts is Monday, May 3th. The deadline for including your logo on posterboards and workshop handout is Monday, May 10th. All printed literature and/or DVDs must be received no later than Monday, May 17th.